Sales of electric and hybrid cars exceeded half of new registrations in Norway in 2017, a record aided by generous subsidies that extended the Nordic nation's lead in a shift from fossil-fuel engines. Pure electric cars and hybrids, which have both battery power and a diesel or petrol motor, accounted for 52% of all new car sales in 2017 in Norway against 40% in 2016, the independent Norwegian Road Federation (OFV) said. "No one else is close" in terms of a national share of electric cars, OFV chief Oeyvind Solberg Thorsen said. "For the first time we have a fossil fuel market share below 50%." Norway exempts new electric cars from many taxes and road tolls and owners often get free parking and charging. Norway also generates almost all its electricity from hydropower, so the shift helps to reduce air pollution and climate change. Last year, the International Energy Agency (IEA) said Norway was far ahead of other nations such as the Netherlands, Sweden, China, France, and Britain in electric car sales. 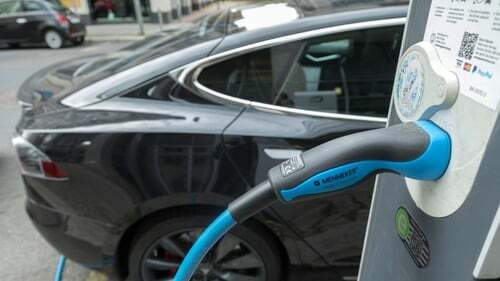 By the IEA yardstick, which excludes hybrid cars which only have a small electric motor that cannot be plugged in, electric car sales in Norway rose to 39% in 2017 from 29% in 2016, when the Netherlands was in second on 6.4%. "The shift has gone faster than we'd thought, and the big car makers say they're going all in to produce non-fossil cars," Mr Thorsen told Reuters. Norway's electric car policies contrast with its big offshore oil and gas production. Christina Bu, head of the Norwegian Electric Vehicle Association which represents owners, said it was too early to reduce incentives for electric cars, noting that parliament has set a goal of phasing out sales of fossil fuel vehicles by 2025. "It's an ambitious goal only seven years away," she told Reuters. A plan last year by the right-wing government to trim electric car incentives in the nation of 5.3 million people, dubbed a "Tesla Tax", was dropped in negotiations on the 2018 budget. Norwegian car sales in 2017 were topped by the Volkswagen Golf, BMWi3, Toyota Rav4 and Tesla Model X. The Tesla is pure electric and others have electric or hybrid versions. Overall, sales of pure electric cars in Norway rose in 2017 to 21% from 16% in 2016. Sales of diesel cars fell most in 2017, to 23% from 31% in 2016. Some regions in Norway have started to charge higher road tolls for diesel cars than for petrol-driven vehicles.